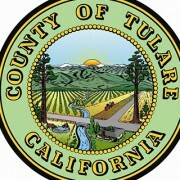 TULARE – Tulare County residents who want to attend a board of supervisors meeting at night will have five chances to do so in 2014. The Tulare County Board of Supervisors approved dates for five night meetings on Tuesday. Chairman of the board of supervisors Phil Cox said the goal of hosting the night meetings is to improve the public’s access to the board meetings. The board of supervisors started hosting night meetings in 2013 at the direction of then chairman of the board, Pete Vander Poel. The first of the five night meetings will be held at 7 p.m. on April 1 at Lindsay City Hall. The Regular Meeting will convene for purposes of Closed Session at 3 p.m. in the County of Tulare Board Chambers located at the Administration Building, 2800 W. Burrel Avenue, Visalia and then be reconvened for purposes of Open Session at 7 p.m. in the City of Lindsay Council Chambers located at 251 E. Honolulu, Lindsay. The Regular Meeting will convene for purposes of Closed Session at 3 p.m. and then be reconvened for purposes of Open Session at 7 p.m. in the County of Tulare Board Chambers located at the Administration Building, 2800 W. Burrel Avenue, Visalia. The Regular Meeting will convene for purposes of Closed Session at 3 p.m. in the County of Tulare Board Chambers located at the Administration Building, 2800 W. Burrel Avenue, Visalia and then be reconvened for purposes of Open Session at 7 p.m. in the City of Tulare Council Chambers located at 475 N. “M” Street, Tulare. The Regular Meeting will convene for purposes of Closed Session at 3 p.m. in the County of Tulare Board Chambers located at the Administration Building, 2800 W. Burrel Avenue, Visalia and then be reconvened for purposes of Open Session at 7 p.m. in the City of Dinuba Council Chambers located at 405 E. El Monte, Dinuba. The Regular Meeting will convene for purposes of Closed Session at 3 p.m. in the County of Tulare Board Chambers located at the Administration Building, 2800 W. Burrel Avenue, Visalia and then be reconvened for purposes of Open Session at 7 p.m. in the City of Porterville Council Chambers located at 291 N. Main Street, Porterville.